With Tablo, you can now distribute your books for sale on the largest and most comprehensive network of online and physical bookshops available to independent authors. Any book that you've written or uploaded to Tablo is able to be published in both eBook and in paperback on up to 40,000 online and physical retailers, all with a single click, and with you maintaining 100% of the proceeds. We offer three levels of distribution, from a lightweight eBook publishing plan to a professional eBook and paperback plan that offers a scale of distribution typically reserved for mainstream authors. Selecting the distribution option that's right for you will depend on how far you'd like your book to go. As a standard, every plan assigns an ISBN to your book, prepares all of your book's assets, allows you to set your own retail price and provides you with 100% of the sales proceeds. It's our Professional plan though that connects you with some real magic – making a paperback version of your book available in nearly 40,000 bookshops around the world. You'll see paperback buying options on all online retailers, and readers can even order your book in-person from their local bookshop. Anytime a book is ordered, it's instantly printed from the nearest warehouse and delivered to the reader within a few days. Your book will always be available, and you'll never need to hold a single unit of inventory. On this plan your book will be published as an eBook on the 10 most significant online retailers in the industry. The name 'Essential' is very intentional as it's designed around the 10 most important distribution channels, covering 90% of the global eBook market. It's a lightweight entry to publishing that also provides incredible reach for your writing. The bookstores you'll receive access to are Amazon, Apple's iBooks Store, Barnes & Noble, Kobo, Booktopia, Microsoft, Google Play, Scribd, Feedbooks and Hoopla. Your book will also be assigned with an ISBN – an essential detail in publishing that usually costs an author $125 – making our $99 Essential plan more cost effective than publishing independently. We would recommend Essential publishing to the author who's looking for an efficient way to offer their eBook for sale online. Our Advanced publishing plan distributes your eBook on 35 online retailers, and makes it available for digital borrowing at 30,000 libraries. With this plan, you will have near 100% coverage of the eBook publishing market, and a presence in nearly all of the world's libraries. It's as close to complete as you can get. The bookstores you'll be distributed on are Amazon, Apple's iBooks Store, Barnes & noble, Kobo, Booktopia, Microsoft, Google Play, Scribd, Hoopla, Feedbooks, Baker & Taylor, 24Symbols, 7Switch, iFlipd, Bookmate, ReThinkBooks, Tagusbooks, Chegg, Gardners, Glose, HummingbirdDM, Inktera, ITSI, Juke, Lix, Libreka, Libri Gmbh, Paper C, Redshelf, RockASAP, Vi-Da Global, VitalSource, Work and Zola Books. The library networks you'll be distributed on are Overdrive, Bibliotecha, Bolinda, EBSCO, Feedbooks, Baker & Taylor, Follett K-12, Gardners, MyiLibrary and Vi-Da Global. There are over 30,000 libraries in this network on 6 continents, including both public, regional and academic libraries. Being distributed on library networks means that a reader can borrow a digital a copy of your book from their local branch. You get paid each time somebody borrows your book. We would recommend Advanced publishing to the author who's serious about distribution, and who wants 100% market coverage for their eBook. Our Professional publishing plan is completely unique, and a remarkable breakthrough for authors who want to take their book to the world. You will receive 100% coverage of the eBook publishing and library market, per the same details as our Advanced publishing plan. In addition, your book will also be made available to purchase as a paperback novel on all supporting online retailers, and in nearly 40,000 retail bookshops around the world. This is made possible by an on-demand printing network that will print and deliver each copy of your book every time somebody places an order. When a reader is browsing your book on Amazon, they will see a Kindle and a paperback purchasing option listed alongside each other. If a reader purchases your paperback novel, it will be printed from the distribution center closest to their address and shipped to them directly. The reader will never know that the book has only just been printed, and you will never need to hold any inventory. Being able to purchase your book in physical retail stores represents an extraordinary new level of access for independent authors. Nearly 40,000 bookshops around the world, from Barnes & Noble and Readings to Shakespeare and Company, will be able to purchase your book using the same catalogues used to buy books from major publishers. If you ask about your title you will hear the friendly and familiar "We don't appear to have any in stock, but I can order one in for you". Placing an order will use the same on-demand printing network to quickly produce and ship a copy to the store. On all of Tablo's distribution plans you'll receive 100% of your sales proceeds. Tablo doesn't take anything. Bookstores will take 30% of your retail price for each eBook sale, and 40% for each paperback sale, so the profits you can expect to receive are between 60-70% of your sale price. For example, after selling a $10 eBook, the store will keep $3 and you'll pocket $7. Paperback books will also have printing costs deducted from your royalty. It costs between $4 and $6 to print each copy of your book, depending on the number pages. If you list your paperback book at $25, the store will keep $10 as their commission, we'll deduct an automatic $5 for printing, and you'll pocket $10 in profits. 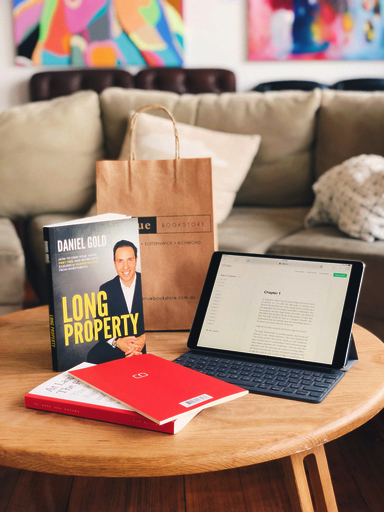 Tablo is one of the only self-publishing companies that doesn't take any commission on your sales, so we're confident that these represent the best terms available to authors. Consider also that most traditionally published authors receive just 8% after bookshop, publisher and agency commissions. We're authors here at Tablo, so we care deeply about your rights. You maintain the full rights to your work. You can set your own price, update your book and remove it from publication at anytime. Would we be able to start out with the Essential pkg and upgrade to the next plan if the book is doing well? What happens if you purchase a plan, use it for x years, but have to cancel one day, for whatever reason? Are your book(s) pulled from all distribution channels? Hi Amy, happy to help with this. If you do one day cancel your plan, your book will be removed from retail channels, but you will of course continue to receive all royalties up to that point. Our plans are kind of like the monthly/annual subscription you might pay for a blog or website in that regard, where you can pay the annual fee to make your books available online and in-store. Hopefully this helps! I am all for the professional choice Ash, but i won't have the funds for this for 2 months, starting today. The book in question is Lashback. I still have some work to do on it and I would prefer to use the same cover that I have now. Many people have admired it and I painted it myself. Hi Frank, this sounds great. We’ll be here to help you publish when the time is right! You’ll be able to use your existing cover too. We’re looking forward to seeing Lashback! This is my little book of cool vocab. Whenever I hear a nice sounding word I'll write it here and remember it forever.